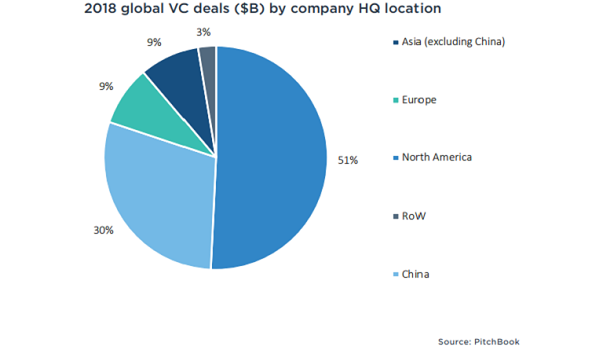 China’s venture capital (VC) deal values ballooned 89% to hit $78.2b in 2018, with Chinese startups bagging almost one in three or 29.4% of global VC and making the country the second largest destination for venture deal values after Asia, according to market data platform PitchBook’s venture capital in China report. 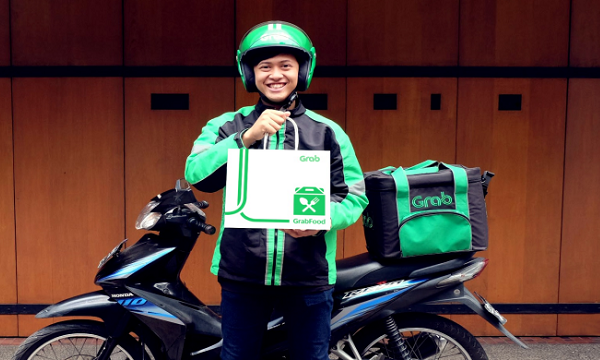 In 2018, payments provider Ant Financial’s mega $14b VC deal in June topped the Chinese deals by size, followed by ride-sharing and autonomous technology firm Didi Chuxing’s $4.6b deal in February and e-commerce platform Meituan-Dianping’s $4b deal in April. VC in China has seen a dramatic rise over the past decade with many new investors emerging, startups launching businesses, and a growing market of consumers with disposable income and new channels to spend it. Aside from these trends, the unique growth story of VC in China can be partially explained by the evolution of its workforce and entrepreneurship promotion, easing regulations and pro-VC policies, the growth of its economy, new investors and mass mobile adoption. China’s gross domestic product (GDP) reportedly stood at $12.2t in 2017, closing in on the size of the US. The report also highlighted how both the provincial and local Chinese governments have experimented with preferential tax treatments that encourage both foreign and domestic VCs to invest in startups in their districts. In 2017, the national Chinese government announced its own preferential tax policies (Circular 38) for VCs and angel investors that have helped to motivate more capital flow into the VC market and supply the capital needed to fund the growing number of technology startups. Additionally, various government organisations have enacted new regulations and guidelines to protect intellectual property, attract tech talent, and provide entrepreneur-friendly tax incentives, among other pro-business policies, the report highlighted. Meanwhile, like US tech titans that go by the acronym FAMGA which includes Facebook, Apple, Microsoft, Google and Amazon, China has its own set of internet giants known as BAT comprising of Baidu, Alibaba and Tencent that dominate the majority of Chinese screen time and ecommerce spending. According to the report, at least 19 of the 71 Chinese unicorns are backed or controlled by BAT companies. Significant investments in unicorns as well as smaller tech startups are reportedly part of the platform-based strategies that these firms have adopted to expand horizontally and to permeate the daily lives of Chinese users. Frederick and Beck also highlighted how autonomous driving is a prime example of a sector receiving heavy investment from all three BAT firms. Alibaba, which is developing AliOS, an in-car operating system, has invested in at least four self-driving car manufacturers Xpeng, Banma Technologies, Cenntro, and Weltmeister, as well as a variety of auto startups that focus on addressing issues such as parking, car sales, financing, and insurance. “Autonomous driving aligns with the objective of establishing smart cities because the adoption of intelligent automobiles (mobile-connected devices) will achieve societal efficiencies such as optimised traffic flow and vehicle sharing to maximize utilisation,” they explained.